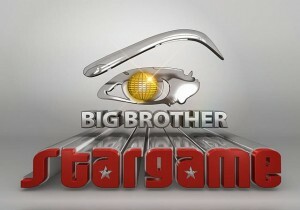 Big Brother StarGame Daily Di-Gist #17: Are the Downvillers rebelling? Downville’s Keagan is one of two people housemates universally dislike. Housemates all seem to complain about him and how he runs the house; he’s always cursing and getting angry. He set the disgruntled looking housemates to cleaning the house from top to bottom, much to their annoyance. The other non-favourite person in the house is Tamara. They seem to think she talks too much and is just evil. They call her a troublemaker and say that her behaviour is rubbing off on her gentler sister, Talia. Next, I expect them to think she will offer her sister a poisoned apple. Keagan is not the only contestant angry and irritated at the housemates laziness. Roki came down hard on all of them in Upville complaining about their lack of commitment. Both houses are taking their lack of motivation to another level, I’ve got to say. Goldie and Mampi had a fight last night during rehearsals. Mampi and Maneta complained about Goldie’s dance steps and she took it personally, walking out on their rehearsals. DKB went after her and tried to calm her down, and even though they eventually resolved the issue, we all know it is not about the dance steps but more about underlying issues like the gossip. More and more though, it looks like Goldie is gathering support from the male half of the house with a few key women like Barbz. It might help her in the long run. The housemates can’t seem to get it right – they keep breaking rules and Biggie has had enough. He punished Barbz, Maneta and Seydou, because they kept switching off their microphones even after repeated warnings. Big Brother is tired of them constantly flouting the rules of the house so he punished them by asking them to look for a needle in a haystack, literally. Maneta and Babrz both found theirs, but Seydou told biggie “I’m finished” because he couldn’t find his. He was still warned to look for it, and while he said okay he ignored the directive. When Biggie checked up on him later and Seydou still had not found it, Biggie was seriously mad. How dare a housemate ignore his punishment?! The hammer came down on the Downvillers and they were punished with a ban on alcohol, yet again. Now, the other housemates are fuming, annoyed that they are being punished for another person’s crime. And like the trouble addicts that they are, 3 rogue Downvillers decided to add fat to the proverbial fire and smoked on the sly in the toilet when they know that smoking is prohibited in the house. What part of “Biggie sees everything” don’t they get?! I can’t wait to hear Biggie’s punishment for the housemates today.